 Buffalo State College has been awarded the Performance Improvement Fund (PIF) Grant from the State University of New York and the Insight to Impact (Title III) Grant from the U.S. Department of Education to improved student retention on campus. These monies will be used in the 2018-2025 academic years to design, implement, and assess new Supplemental Instruction, Peer Mentoring, Summer Bridge, Digital Supplemental Instruction, and Online Orientation programs on campus. Please visit the this website often for updates on the programs' development and outcomes. The office of Student Retention Programs can be found in Southwing 510. If you would like to learn more, please stop by or call Dr. Ashley Martin, Director of Student Retention Programs, at 716-878-3367.